No idea if it’s thanks to the fresh sea air or the comfortable mattresses, but we slept like babies and feel totally rested upon our arrival in Le Havre. Called the “Gateway to Paris”, it’s hard to believe that one of France’s oldest cities, Le Havre celebrated its 500th anniversary in 2017, has the look and feel of the nation’s youngest city. That’s because Le Havre was almost completely destroyed during the Second World War. After the war French architect Auguste Perret was instructed to rebuild the city. He designed a city with wide, straight roads and open squares and eagerly used concrete, which he regarded as the new brick, in the rebuilding of the devastated city. The reconstruction was officially concluded in 1964 with the unveiling of the Saint-Joseph church. Curious to explore the concrete city we energize ourselves with a hearty breakfast before starting the 2.5km walk towards the city. It takes us less than 30 minutes to reach the colorful containers of Vincent Ganivet. 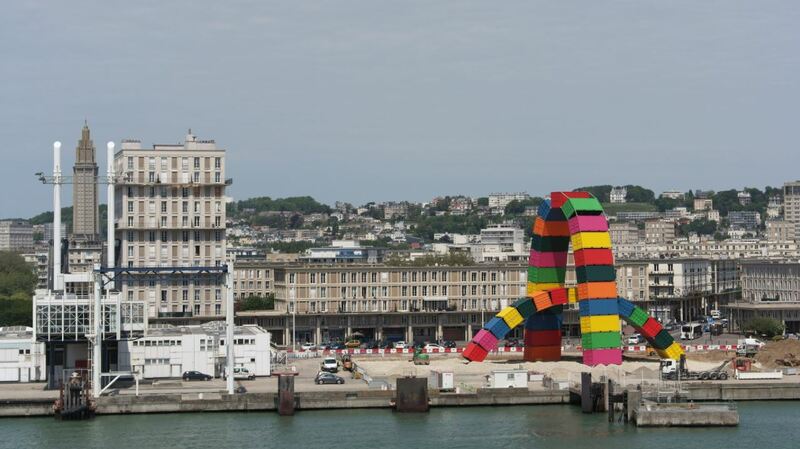 The two arches on the Quai Southampton were created on the occasion of Le Havre’s anniversary and refer to the city’s main economic activity as industrial port. Walking towards the city center on the Rue de Paris we pass by the Cathédrale Notre-Dame which was one of the few buildings to survive the September 1944 bombings. The cathedral is a mix of Renaissance and Baroque architecture and, compared to other cathedrals, comes across as pocket-sized. The interior is rather grey and sober. 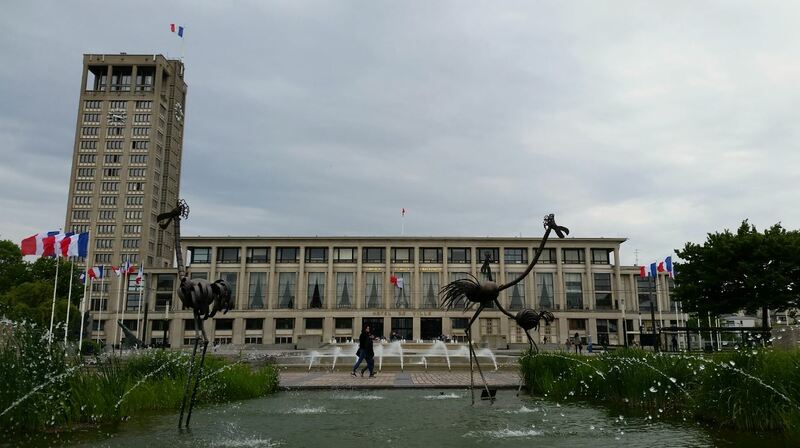 From the Place General de Gaulle we have a good view of Le Volcan, the cultural heart of Le Havre. The two volcanoes, a design by Oscar Niemeyer, stand in stark contrast to the straight lines of the modern city and provide space for a concert hall and a multifunctional library. On the corner of the Rue Louis Brindeau and the Rue de Paris, the historic Auguste Perret show flat is furnished in a 1950’s style and provides an insight in how the architect envisioned post war housing. While the playful planting in the park in front of the impressive city hall and adjacent belfry provides variety, the straight water features and fountains provide some necessary refreshment during hot summers. Another option to escape the summer sun, or in our case the light rainshower that has decided to roll in, is the Espace Coty. With 78 shops you’re guaranteed to satisfy any shopping addiction. 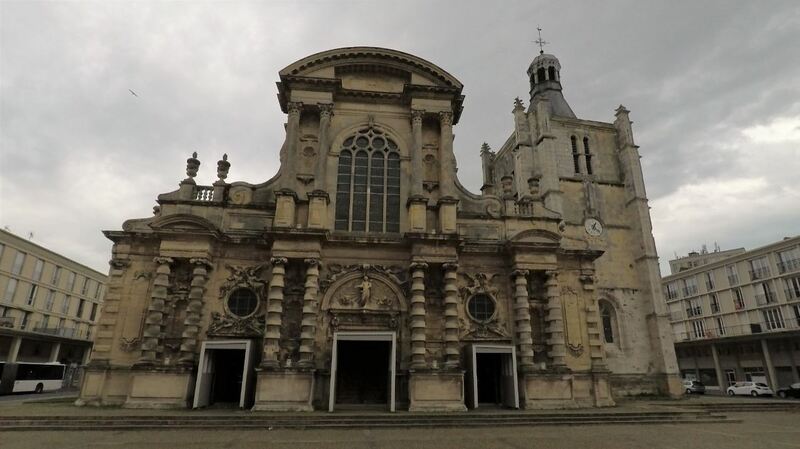 Shop till you drop, but before we can return to our floating Venetian palace to put our feet up, and because no vist to Le Havre would be complete without, we visit the Église Saint-Joseph. 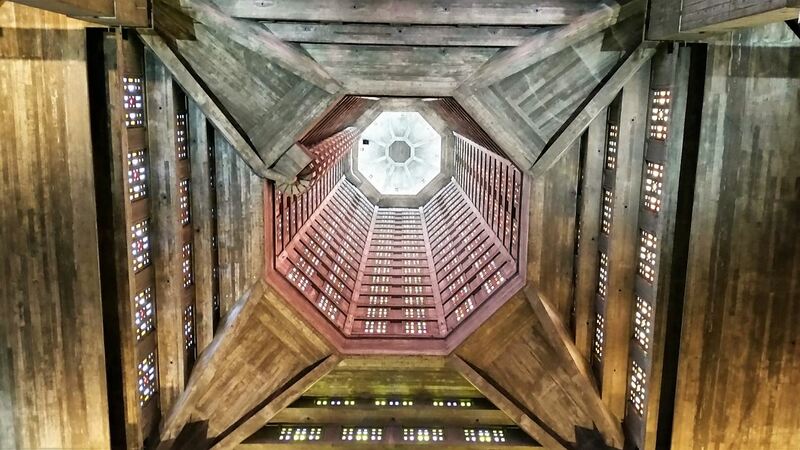 The church with its impressive tower was built entirely in concrete and is the symbol of post-war reconstruction. Part from the fact that the 107-meter-high tower dominates the city like a light beacon, the real reason to visit the church is inside. However grey on the outside, the inside of the church is brightened up by a colourful light from the stained-glass windows. 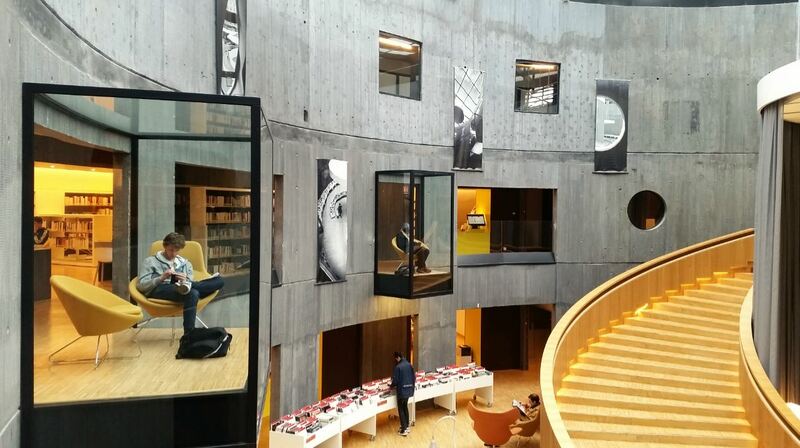 Definitely worth a visit! Today was our third day on board Costa Mediterranea. Curious to find out what we did yesterday in Dover? 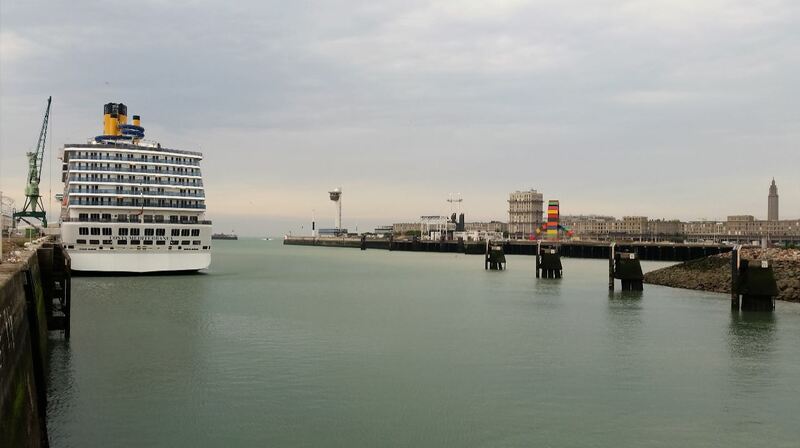 Make sure to have a look at 4 days on board Costa Mediterranea – Blue Birds Over Dover. To discover what we did upon boarding visit 4 days on board Costa Mediterranea – Benvenuti a Bordo.